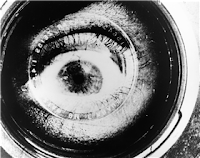 A live digital re-scoring of filmmaker Dziga Vertov's documentary, Man with a Movie Camera. Local artist Darren Copeland will set the everyday soundscape of Toronto in 2011 against Vertov's depiction of Moscow in 1929. Copeland creates a new perspective on the sounds of our city: allowing the audience to re-experience Toronto through the ears and imagination of Dziga Vertov. The 'Royal Canadian Chiptunes Orchestra' (a collection of musicians playing on custom-hacked Game Boys and home-made circuit-based instruments) present an evening celebrating the music of the video game. As well, musical groups will present their interpretations of iconic video game songs and scores. Performances by: Battle Lava, Deadbeatblast, .exe, Radius and Helena, Oxvylu, Cybernetic Orchestra, Freque, Awesome Force, Jeff the World, Starpilot, Tetris Hold'em, bossFYTE, DJ Finish Him, Press Start 2 Play, and Spell 'n Math. Favourite musical numbers from '80s films like Fame, Footloose, Little Shop of Horrors, Flashdance and more. Movie Studio Playhouse takes live feeds of participants acting in spontaneously-created films and enables the audience to manipulate these feeds in a number of different playful ways. Get involved by using fun props and costumes to make a short film that will be projected on the atrium wall. Audience members watching in the atrium are encouraged to play the role of post-production trickster, tinkering with, manipulating and re-arranging the moving images.